Can Physical Therapy Help Solve the Problem? Do Opioids Work for Muscle Pain? Paul Ingraham is a pain researcher and runs Pain Science. He comes to a succinct conclusion of the effectiveness of opioid drugs for pain. They induce deep relaxation and euphoria and have the potential to make you not care about pain. Unfortunately, not caring is not a cure, and their efficacy is surprisingly dubious: many people are actually genetically immune to them. They do not work well at all for chronic musculoskeletal pain (non-cancer pain), and may even backfire. They aren’t even as obviously effective for acute pain as they are supposed to be. And, of course, they also have grim risks like life-altering addiction and death by overdose, which is shockingly common...The CDC declared in early 2016 that opioids should not be an option for chronic musculoskeletal pain: there’s just too much danger, and too little evidence of benefit. On the other hand, not everyone gets addicted and some people get real relief, so despite “the opioid crisis” — which is all-too real — there’s plenty of grey area here. If you have a good relationship with a cautious doctor who respects the risks, it’s not unreasonable to consider a short term opioid experiment: it could provide some much needed emotional relief from chronic pain, and maybe even break a vicious cycle. But the need for caution and medical supervision is as high as it gets. While the usage of these drugs can, in very nuanced circumstances, be useful, they are not the wonder-drug that should continue being prescribed at alarming rates. Conservative, non-invasive treatments like physical therapy are available with little, to no downsides. A study in the Journal of Orthopedic and Sport Physical Therapy outlines the potential benefits of working hand-in-hand with a physical therapist during for painful issues. An estimated 116 million Americans suffer from chronic pain, at a cost of over $600 billion per year, or roughly $2000 per person per year. 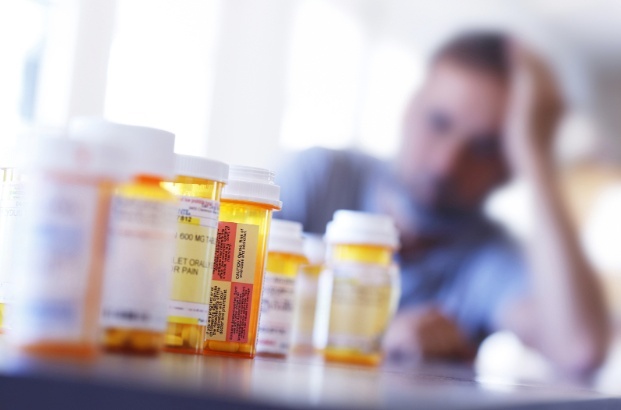 The authors highlight the challenges of the current opioid epidemic and outline strategies that the physical therapy profession may adopt to be part of the solution. These strategies include facilitating and providing patient education, early access to physical therapy services, and the promotion of health, wellness, and prevention. There are certainly cases where these particular drugs can be very useful. Acute traumatic pain, the terminally ill (where addiction is less of a concern), and unusually extreme pain where addiction is the lesser of evils, like some neuralgias or complex regional pain syndrome. But there is still controversy about their use for everything else, and how to manage the undeniable crisis. For musculoskeletal pain in particular, over the last few years, expert consensus has shifted strongly towards the belief that they should only be used with great caution and close supervision… or not at all. Ingraham points to an overall trend that would make abiding to lower risk interventions for some common musculoskeletal pain seem better than the opioid-only approach. The CDC states that there are high levels of evidence that physical therapy can help with these painful conditions, particularly if they’ve turned chronic and have lasted over 90 days. PTs know that pharmacological options aren’t always the right answer for pain. Together we can continue to push the science behind pain further, and do our part to help fight the opioid crisis.